Books are, obviously, important. Very important. They are the staff of life. From the time my auld man taught me to read I’ve been hooked. And as well as finishing at least one or two books every week without fail, I write the things myself now. My dad always had a thing about not assuming what kids could and couldn’t take in, at any given age. His reasoning was no one could possibly know what a child could or couldn’t understand so best to expose them to as much as possible and see what sticks. That has always seemed like a sensible approach, to me. No baby-talk for the auld man; he spoke to me using exactly the same words he would use with an adult. Consequently, I recall when in primary 5 positively unnerving my teacher when I told her the longest word I knew was antidisestablishmentarianism and that I could spell it accurately, too. The advantages and benefits of literacy and an extensive vocabulary are so many and so apparent as to render entirely redundant the need to argue for them. Of course, not everyone enjoys reading, words, language, books etc. It’s also very important, I think, not to force your likes and dislikes onto children; to try and turn them into your own mini-me. Fae might well turn out to be one of those people who doesn’t care for books. But I doubt it, on the evidence so far. From about five months, when she was hurtling around in a walker, she’d point to the top shelf of one of my bookcases where her small collection was stored, indicating that she wanted them. I’d bring them down and she’d perch happily on my lap as I’d read to her. Often, she’d take them from me and just turn them over, turn the pages as best she could and examine them closely, looking at the front and back covers. It seemed that she viewed them as simply different toys. Which was fine by me. If she viewed books as toys, as things to play with, then, I reasoned, she was associating books with fun. With pleasure. As an enjoyable way to spend one’s time. That’s got to be a good thing. I soon cleared one of my floor-level shelves for her books so she could access them herself, any time she wanted. 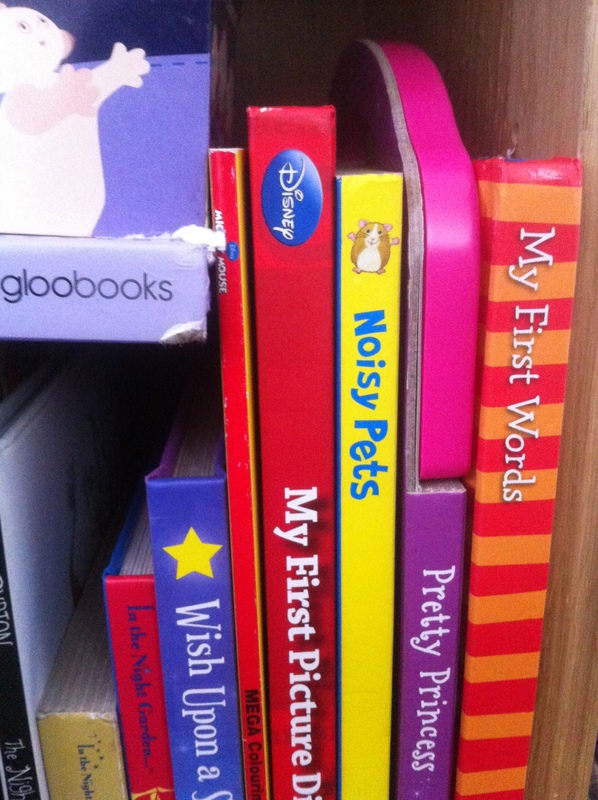 And now, every time she visits, without fail, she’ll head for her shelf and stagger over to me with one of her books. And then repeat the trip until I have all of them, spread all over my lap and the arms of my chair. At which point she’ll hold her arms out to me, demanding I lift her up into my chair. Whereupon we read and lose ourselves in her books. Objective peer-reviewed studies have shown her to be the most intelligent child in the entire span of recorded human history and I reckon she’s got the book-bug. 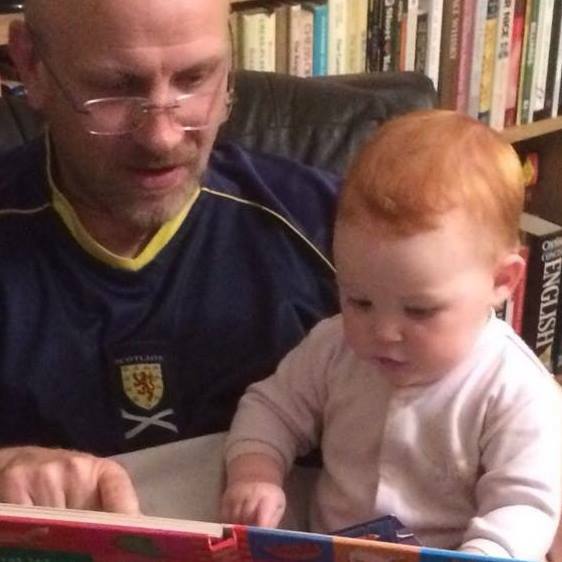 And while it’s gratifying to be able to give my granddaughter anything that makes her happy, it’s as nothing to the sheer joy she gives back to me, a thousand-fold, every time she clambers on to my lap with a book.